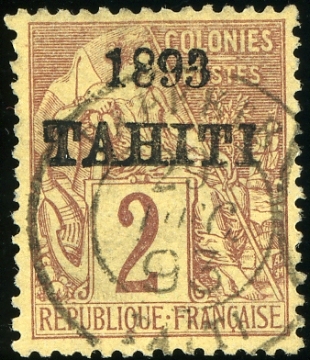 Tahiti 1893, 2c brown on buff with horizontal "1893 TAHITI" overprint, very fine used example (Papeete 29 dec 93) of this rare stamp (only 200 printed). Yvert 20, Scott 18, Michel 19, Maury 20 = 3500 EUR. 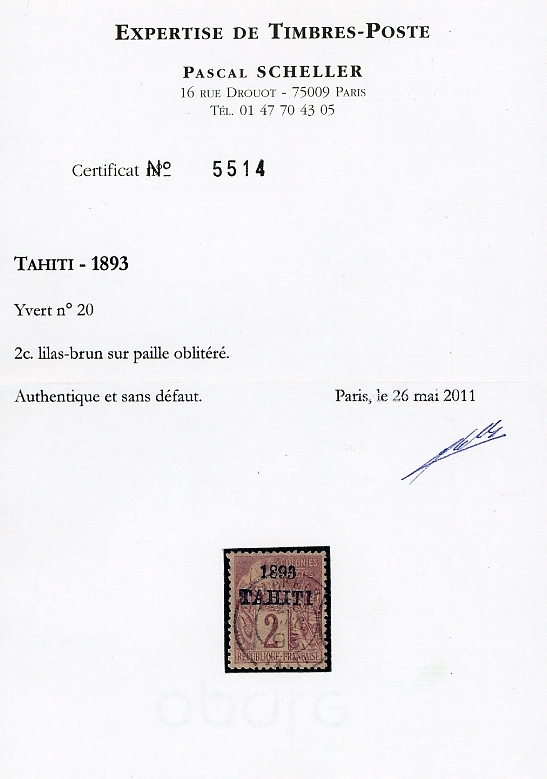 Certificate Pascal Scheller.